A WebmasterWorld thread has one AdSense publisher claiming he received a message from Google asking if he wants to participate in an AdSense phone support pilot program where he/she would have a phone session with a Google AdSense representative for free. The AdSense phone support pilot program seems to happen through Google AdSense's message center. You receive the message from Google and if you confirm you want to participate, Google will have a representative call you within 72 hours of your acceptance. This is not the first time we have seen publishers being invited to a phone consultation. We had reports of it back in 2010 when the messages were titled "You're invited to an AdSense Phone Consultation." 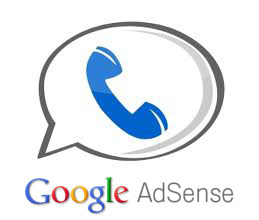 Then in 2011, Google said they may offer AdSense phone support like they do with AdWords phone support. So maybe this is the first step in that direction? Previous story: Bing Webmaster Tools Bugs?